Booking is now open for another great series of concerts, coming up this autumn. It is a privilege to join forces again with the Tunbridge Wells International Music Festival, and the line-up for this series is as impressive as ever. The Dulcinea Quartet - a wonderful range music from the string quartet repertoire by this innovative young ensemble. They will beplaying music by Mozart, Glass and Bartok. Buy tickets. Ellen Smith and friends Danielle Perrett and Michael Grant - music for not one but two harps, with the added spice of saxophone and voice. Theirs is an entertaining programme for a Sunday afternoon, including music by Purcell, Handel and Schubert and some new folk song arrangements for this unusual combination. Buy tickets. 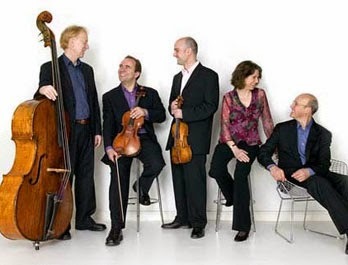 The Schubert Ensemble return to King Charles after a triumphant performance two year ago. This top international group play with huge enjoyment and skill, and are not to be missed. 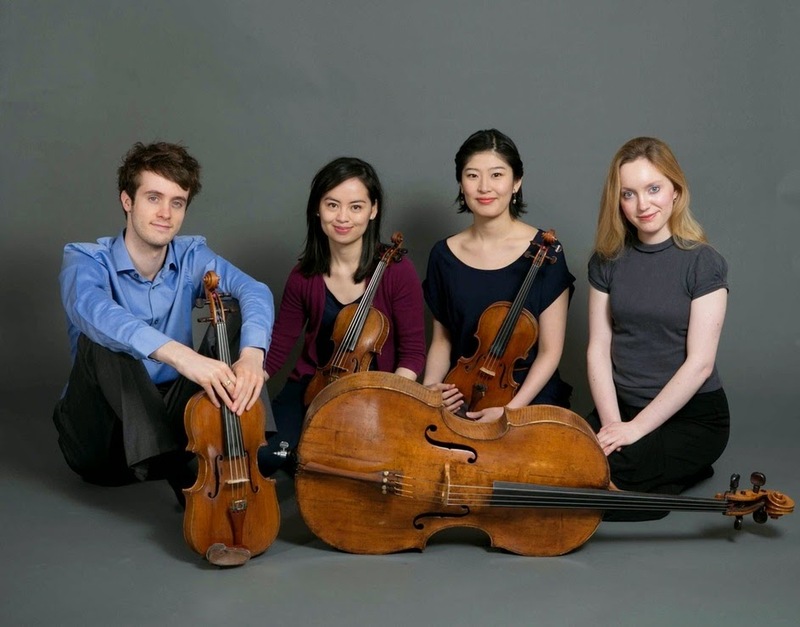 Their programme includes Dvorak's 2nd Quartet and the much-loved Brahms Piano Quintet. Buy tickets. Michael Collins has been described as the world's greatest living clarinettist. He is brought to King Charles thanks to our partnership with the Tunbridge Wells International Music Festival. Programme to be announced. Buy tickets. The RPO Soloists - more internationally-acclaimed players take the stage, as we present the RPO Soloists; six principal members of the Royal Philharmonic Orchestra taking time out to enjoy some chamber music. This promises to be a tremendous evening. Their programme includes Tchaikovsky's Souvenir de Florence. Buy tickets. The King's Violin - the climax of our series this year is a very special concert indeed for Tunbridge Wells, featuring the last surviving violin from Charles II's court orchestra. This historic instrument will be played by Margaret Faultless, as we reflect some of the music that might have been played on the King's visits to the Wells in 1663. With Baroque specialists Kate Semmens (soprano), Robin Jeffrey (lute) and Steven Devine (harpsichord). Buy tickets. Christmas concert with the King Charles Singers and the Pentagon string ensemble. We present a family concert of carols and entertaining arrangements of seasonal favourites. Buy tickets. We'll be posting more details nearer the time.